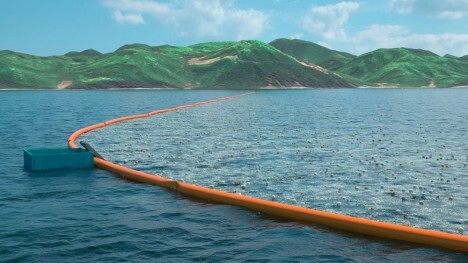 Designed to target key points in global oceanic trash circulation, addressing a 7-million-ton problem planet-wide, this system has rapidly evolved from conceptual and inspiring idea in the mind of a teenager to feasibility-studied, fully-funded project set to go live next year. The initial array will span 2000 feet and be the longest floating structure built to date. 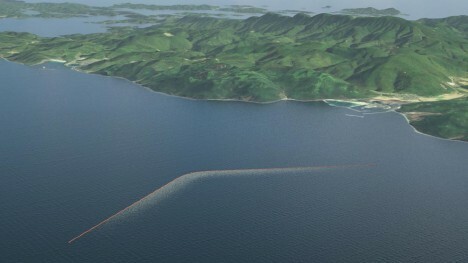 One of the project primary targets will be the giant gyre known as the Great Pacific Garbage Patch – Slat’s organization, The Ocean Cleanup, believes this giant repository of waste could be cut in half within ten years. Some of the gathered trash will be recycled and other portions turned into biofuels. See more in Earth & Nature or under Science. June, 2015.